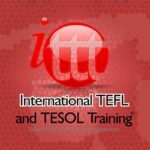 The bestonlinetefl.com is an online review/blog of the best online TEFL certifications. More over we’re just a bunch of current and former ESL teachers who’ve been in the game for quite a bit now. There is nothing quite like that first moment when you click “buy now” for your flight to [enter destination]. It’s exciting to know there is a whole no beginning out there waiting for you. Finding TEFL courses online is no laughing matter though. It’s important to enroll with a website that can guarantee you jobs in countries where you want to work. Getting a TEFL certification not only makes landing a work-permit a piece of cake it shows future employers that you’re serious about teaching. All you really need is a foot in the door and an online TEFL is the way to go if you’re bootstrap for your adventure. We can certainly attest that some of us came to our jobs with very little money starting out so every penny saved was immense. There are plenty of teachers (and more to come) who will decide to get their online TEFL certification as it starts to become more widely accepted as the norm. This website was inspired to give insight to bootstrap travelers. The world is getting smaller everyday and the ESL community has grown to almost every inch of this planet. Teaching English as a Foreign Language has a wealth of benefits. If you’re interested in acquiring a TEFL certification then BestOnlineTEFL.com is a good stopping point before making your decision.